Attention! 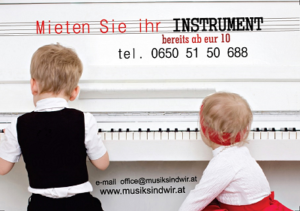 Now you have the possibility to rent an instrument for long or short term, through our new business partner “Musik sind wir”. The students of the Academy have a special offer for every instrument. Rent an instrument, make music and have fun! Easy purchase, low prizes and no bail!